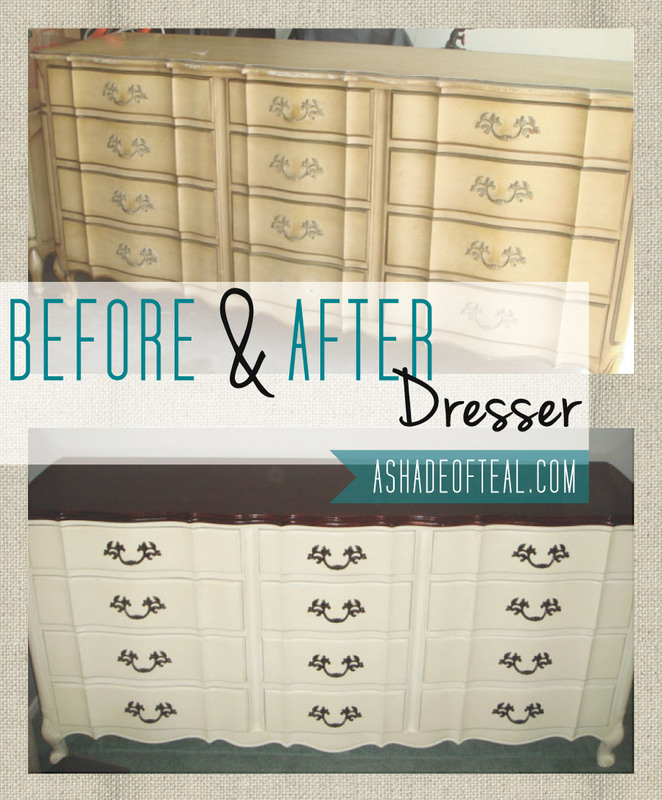 So here is the matching dresser to the nightstands. See here for the how-to and all the extra details. There were 12 drawers to prep, paint, and line with fabric. Needless to say, this took awhile!